As Xerocon Austin inches closer we got in touch with some of our accounting and bookkeeping partners who will be joining us in the Texas capital, and talked everything Xerocon and what they’re looking forward to at this year’s event. Raj Vallabh is a Partner at Positive Accounting, a Xero bronze partner in Oakville, Canada. My wife, Joti, started Positive Accounting about seven years ago. For the first two years, it was just her and then she came to a point where she reached capacity. Then I started helping her with admin two days a week, and within three months, it was five days a week. We decided to make a proper thing of it and I joined the business full-time, we found office space, and started hiring a team. Now we’re an office of six people. We try to do a team lunch once a month, as well as a social outing once every couple of months. On Thanksgiving, we closed early and had a full dinner. We like to think we have a family culture as opposed to an office culture. When did you first move to Xero? We started out on desktop accounting software, and we discovered Xero about three-and-a-half years ago. We decided to try it out, and then we converted our entire firm to a paperless firm. Ultimately, Positive Accounting partnered with Xero because we didn’t like files going back and forth. Why do you choose to go? We went to our first Xerocon last year in San Francisco because we were pretty avid Xero users and there weren’t that many in Canada. We want to be regarded as in-the-know when it comes to Xero. The decision to go to Austin was the next logical step. We go to Xerocon to get an overview of what’s changed year on year and also to meet the vendors, see what’s changed in technology and who’s doing what. It’s a good opportunity to sit down and find out about the latest Xero product announcements, because we don’t always have time to go through all of them when they come out during the year. We give vendors feedback on our experience, what works and doesn’t, because at the bigger events like these you get to speak to them on a one-on-one level. It’s about building those relationships with those vendors so they know who we are and we know who they are. If there’s a particular need that we have to communicate, it’s important to have that back and forth dialogue. What are some of your most memorable moments? 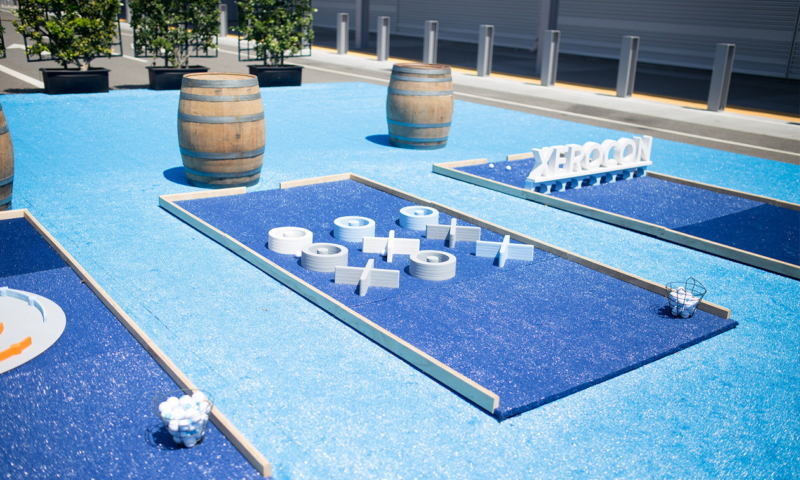 Xerocon has a social element and a work element. At Xerocon San Francisco, it was good to catch up with some of our peers, including some from our local area. When we started our Xero journey, we reached out to Chad Davis from LiveCA and he chatted with us about our goods and our bads. If we’re making app decisions, we reach out to him for advice. If we have work that’s out of our scope we’ll pass it to him or one of our peers. The online world has evolved into a cooperative accounting environment – it’s been a great journey. The post What Xerocon Austin means to me | Positive Accounting appeared first on Xero Blog.